Of all the many species of conifer, Brewer's spruce is often considered to be the most beautiful. 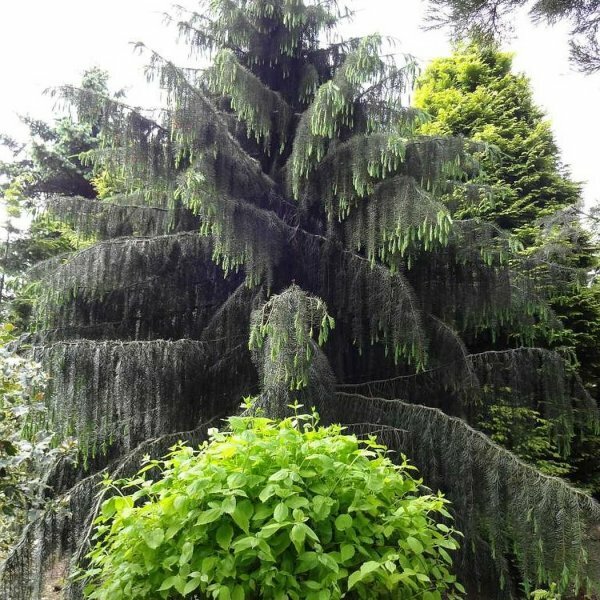 Also known as the weeping spruce, it is most notable for its thick curtains of drooping foliage which look particularly attractive in the immediate aftermath of rainfall when drops of water glisten on its needle-like leaves. 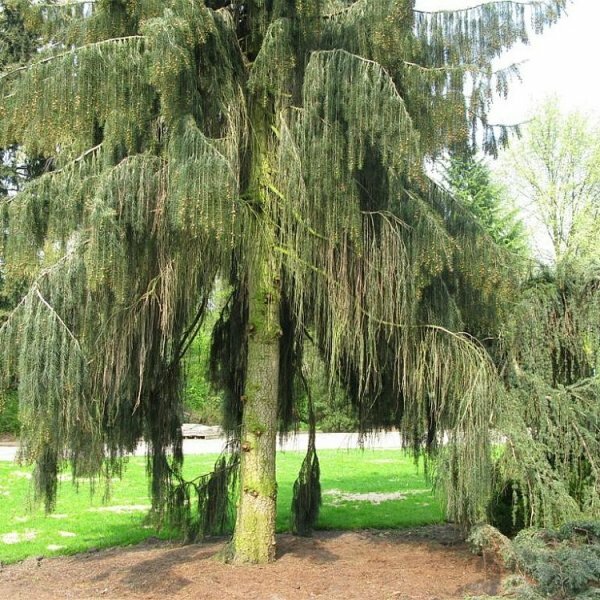 Its form has most likely developed in this way to cope with its natural habitat in the Siskiyou Mountains of California and Oregon in the United States of America. 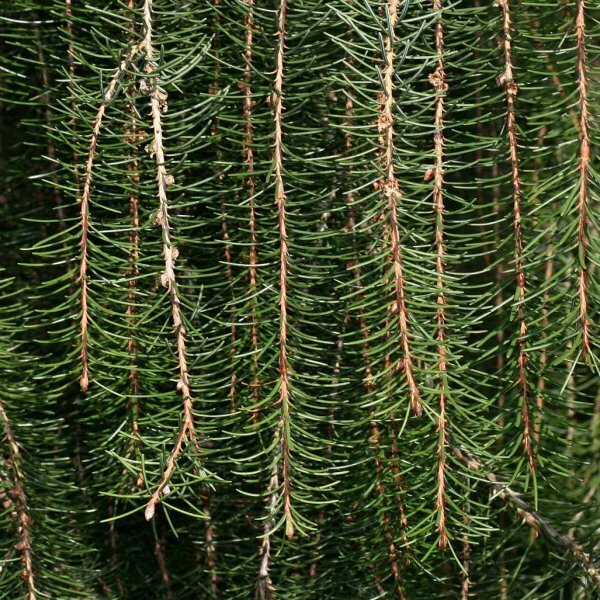 Growing between 1,000m and 2,700m above sea level, Picea breweriana regularly has to contend with heavy snowfall and the tough, springy branches are perfectly designed to shed any snow without damaging the tree. This rare tree was discovered by a Californian botanist by the name of William Henry Brewer, who was a professor of agriculture at Yale University. It was introduced to Britain in 1897 and was planted first at Kew before being more widely distributed. It is now one of the most popular garden conifers, not only in Britain but also in Scandinavia. 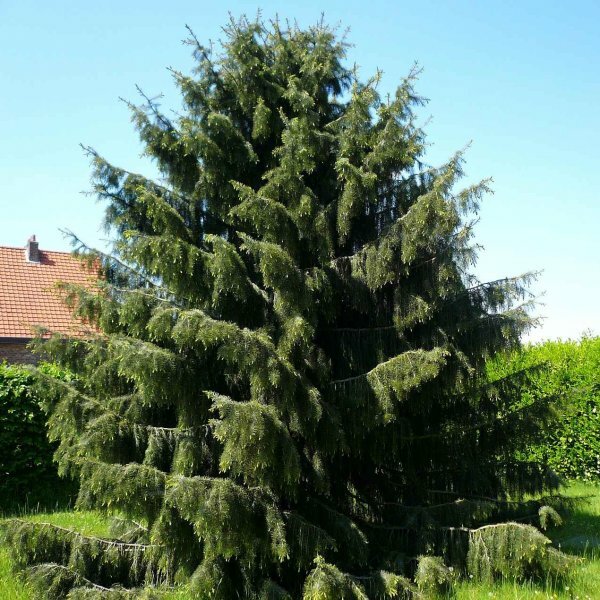 Like many conifers, it has an upright, pyramidal shape, which as well as looking striking, has the benefit of not taking up too much space. 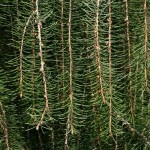 It also grows quite slowly, usually less than 50cm a year and outside of its native habitat tends not to top 15m (50ft), which is less than half of what it can achieve in the wild, and so is less prone to causing neighbourly disputes than some garden evergreens.